After World War II, the Department of the Interior was supposed to rebuild roads near Fontana Lake, in Swain County, North Carolina. It never did. 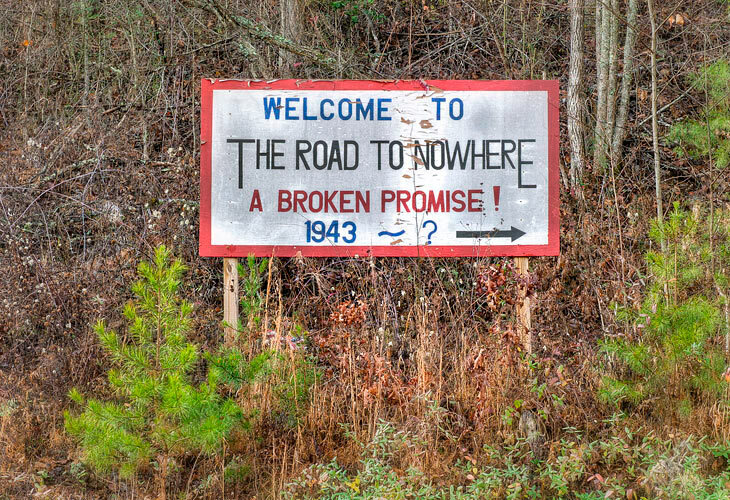 The seven-mile-long “Road to Nowhere” still dead-ends in the mountains of Swain County, but 75 years later it looks like the federal government is making good on its promise. Last week, the Department of the Interior paid the county $35.2 million to settle its 1943 pledge. Roughly 600 families were forced to move from their land in order for the government to build the dam and use the water supply to furnish enough electricity needed to make aircraft aluminum. 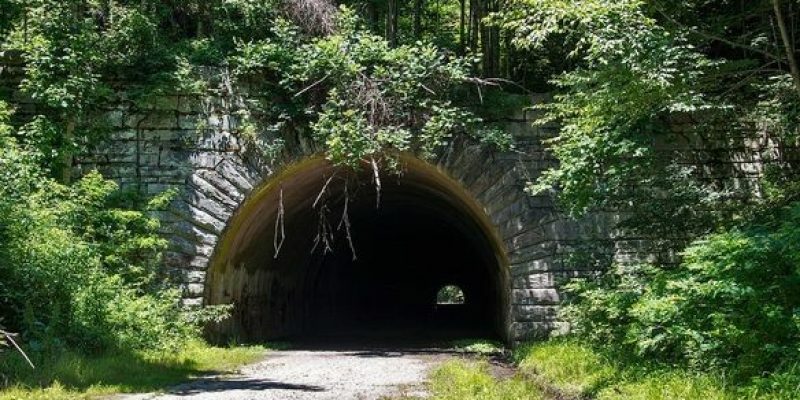 The 34-mile North Shore Road from Bryson City to Fontana was supposed to compensate the county for its losses from flooded roads and the thousands of acres that were transferred from the county’s tax base to federal ownership. Federal land covers 87 percent of the county, limiting economic development. Finishing the road is no longer an option for several reasons. In 2007, the county agreed to a $52 million cash settlement. But by September 2017, only $12.8 million had been paid. Then new Interior Secretary Ryan Zinke released another $4 million that had been appropriated by Congress but not released. North Carolina’s congressional leaders, including Sens. Thom Tillis and Richard Burr and Rep. Mark Meadows of Asheville, all pushed for full payment. “We actually got the money. It was deposited on Friday,” said Swain County manager Kevin King. “We are paid in full.” Under a 2010 agreement, the money was deposited with the state treasurer’s office. The county can spend only the interest the money earns, which King estimates is roughly $1 million. The county is mostly forested with 14,000 residents. It’s still a road to nowhere, but at least the county finally got paid.